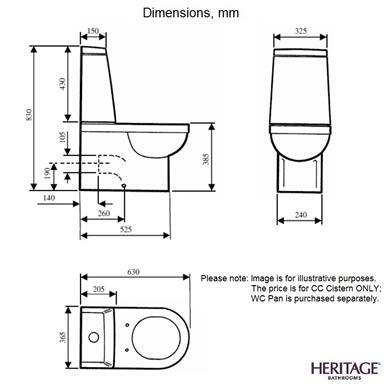 The Heritage Bathrooms Zaar Cistern PZW01 is a dual flush 6/3 ltrs cistern designed for installation with close coupled WC pan such as Zaar Close Coupled Back To Wall WC Pan (product code PZW00) or Zaar Close Coupled Easi-Fit WC Pan (product code PZW00E); White finish. The Heritage Zaar Suite is one of the most versatile collections - the straight design lines matched with crisp white finish create a minimalist effect that will work well in modern interiors and help create that 'boutique' look and modern yet luxurious feel in your bathroom. - Dual flush cistern: Engineered to flush fully on just 3 or 6 litres of water. 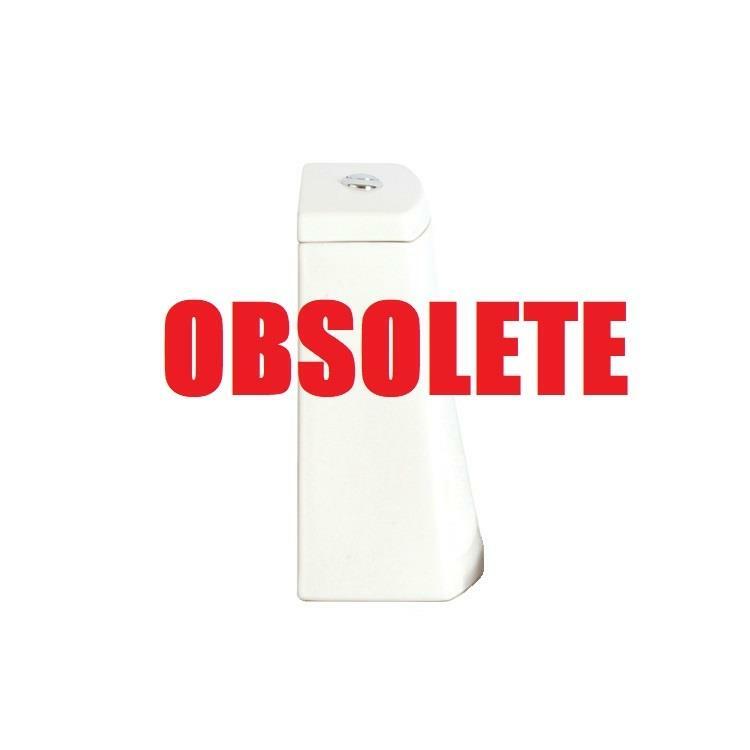 - Supplied with single flush chrome push-button. - Construction: Vitreous China, manufactured to BSEN31:1999, BS1188:1974, BS3402:1969. - Guarantee: Ceramic ware - 25 years covering manufacturing faults; Cistern fittings - 10 years. 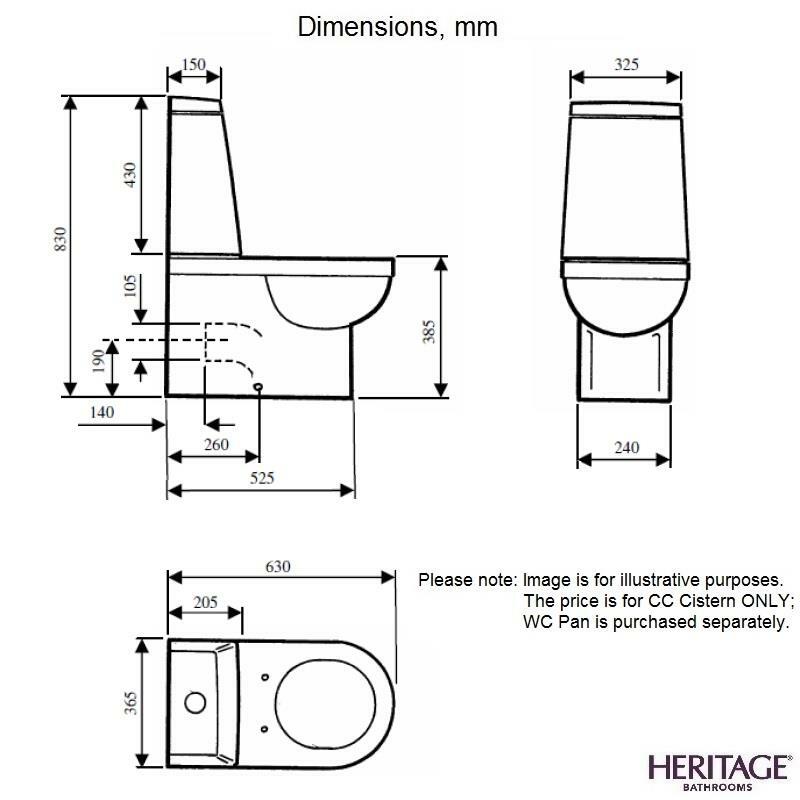 Please note: Price is for the Cistern ONLY; WC Pan is purchased separately.